Bovada Poker is the #1 option for United States poker players in 2013. This is largely because of their phenomenal cash-out times, which are currently the fastest in the industry. 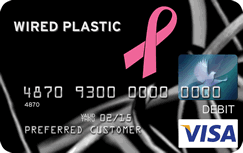 In addition, depositing on the site has never been easier, with most Visa and Debit Card options going through with ease. New players at Bovada Poker are eligible to claim their share of the Bovada Poker Welcome bonus. Each new player that registers an account, and makes their first deposit qualifies for a deposit bonus that’s equal to the amount they deposit. So let’s say a player makes the minimum deposit of $25. That player would receive a welcome bonus of $25 for a total of $50 in playable chips, once you’ve cleared the bonus requirements of course. Before your Bovada Poker bonus will appear in your player account you will have to fulfill some requirements. Bovada requires players to reach specific milestones by playing poker to claim their bonus dollars. The reason behind this process is pretty simple, the bonus is offered to new players that want to actually sign up for a Bovada Poker account and play poker not to people that simply want to take advantage of the sites advertising budget by claiming the bonus and then simply heading to the cashier to make a withdrawal. So let’s say that a player decided to take advantage of the maximum bonus offered by Bovada. That player would first make a deposit of $1000 using any one of the many Bovada deposit options. Then the player would more than likely head to a poker table. Every time a player at Bovada contributes to the rake in a pot, that player earns points. A player that plays in a hand with a total rake from $.05 to $.20 earns .10 or 1/10th of a Point. A player contributing to a pot with $.50 to $.90 in rake receives a half point, and players that contribute in hands where the total rake contributed is $1, to $3 into the rake earn 1 full point. As you’re earning these points, you’re clearing that bonus we talked about above. 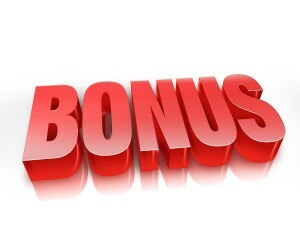 Players are given 60 days to clear the welcome bonus, which is paid out at the intervals mentioned above. All bonuses are credited the day after they’re cleared. In addition to offering regular Texas Hold’em games, Omaha poker, and 7 Card Stud games, Bovada also offers a full service online casino featuring 100’s of online slots games, video poker games, table games like blackjack, roulette and craps, and a small selection of specialty games like keno and red-dog, as well as an online sportsbook and a race book, all of which are open to American poker players. Bovada doesn’t offer rakeback per say, and as far as sites that accept United States poker players, you’d be hard pressed to find one that offers rakeback, outside of perhaps bitcoin poker, which doesn’t deal in United States Dollars, but uses virtual currency that can be a bit tricky to translate into money. Bodog does however offer a welcome bonus that can be compared to a decent rakeback deal. Additionally, players earn points at Bovada that can be redeemed for tournament buy ins. Bovada offers a solid selection of deposit options for players from the United States which includes every major deposit option that is available to United States poker players including Visa and Debit cards and prepaid credit cards that work for making deposits at online poker sites like Wired Plastic, Netspend and other prepaid credit cards that are compatible internationally. Right now, according to most 2+2 threads, Visa and most Debit options WILL indeed work a high percentage of the time when it comes to depositing. Western Union is also a great option. In regards to withdrawals, Bovada consistently has received some of the top grades in the books, acquiring A to B+ ratings in the rankings reports you can find at PokerAffiliateSolutions.com. If you’re having trouble finding a deposit option that works for you, give the deposit specialists at Bovada a call at 1-888-263-0000. It’s toll free, and they’ll have you playing in just a few minutes. Bovada offers a unique style of poker play that limits the amount of information that leather-assed poker players can collect on other poker players over time. At most poker sites, players are able to download and share hand histories that when combined, overtime create a database of your habits. These databases paint a picture of unsuspecting players habits, such as what range of cards they usually call range and fold with. At Bovada, every player is brand new, every time. Each player is simply identified by a number, when players log off, those numbers change. The next time the player plays on Bovada, they’re given a new number, and a brand new clean slate. 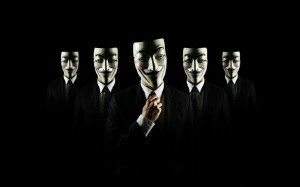 This anonymity makes it possible for regular grinders to remain anonymous among the group of other players, as well as making it hard for reg’s to identify fish and hobby poker players using outside software. Given the amount of money that players deposit into their online poker accounts each year, the number of poker sites that do not offer customer support via telephone is truly astonishing. Bovada offers both an email contact form on their website, and a toll free customer service telephone number. Bovada Poker is legally licensed and operating under the supervision of the Kawnawake Gaming Commission. This review was updated Feb 2013 by LadyHoldem.